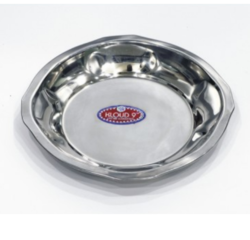 Our expertise of this domain has enabled us to offer a range of Stainless Steel Plates. Under this category, we offer our clients a wide range of Charger Plate, Oyester Plate, Image Plate and Nokia Platter. These plates are fabricated by the highly skilled professionals using qualitative raw material and advanced technology in compliance with international quality standards. Moreover, customers can avail customized version of these plates from us at reasonable rates by paying through variegated simple modes. We are engaged in offering Stainless Steel Square Plate to the clients. 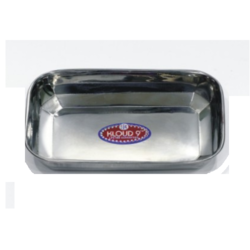 We are engaged in offering S.S Cake Dish to the clients with proper finish. 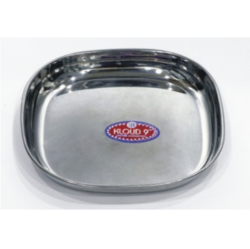 Customers can avail from us a wide range of Stainless Steel Oyster Plate. 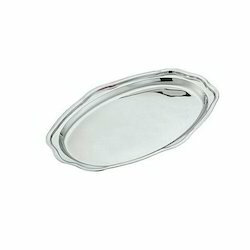 Our offered oyster plates are developed using quality tested raw material in accordance with international quality norms. With the help of our adroit professionals, we have been able to offer a wide assortment of Stainless Steel Image Plates. 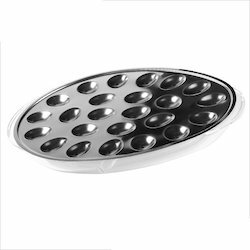 High-grade stainless steel and advanced technology are widely employed by the professionals in manufacturing these image plates. 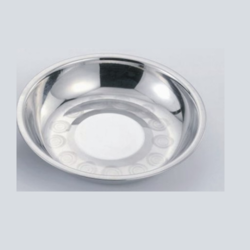 We export a wide range of S.S Egg Serving Plate that is widely used to hold a number of eggs. These are offered in various sizes, shapes, designs and finishing. Made in accordance with exact requirements of clients, these are quality tested by our experts for ensuring quality and durability. These are available at most affordable prices. We are engaged in offering Stainless Steel Rectangular Plate to the clients. 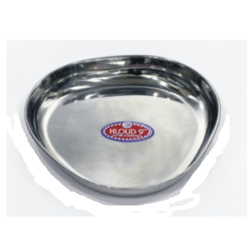 We are engaged in offering S.S Triangle Plate to the clients of various size. We are a renowned exporter of a prominent range of Charger Plates. 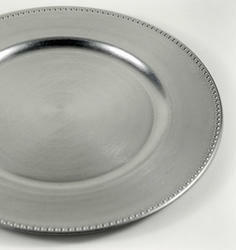 The offered plates are widely used to dress up dinner tables at weddings, parties and other special events. These charger plates are left on the table as a huge coaster for soup and salad. Owing to the features such as alluring designs, high durability and excellent finish, these charger plates are widely appreciated in this highly competitive market. 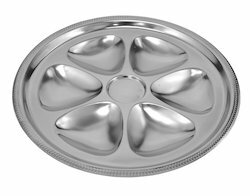 Backed by the vast experience of the industry, we have been able to offer an impeccable array of Stainless Steel Platter.